When you’re facing a hot summer, keeping your home cool is a priority. 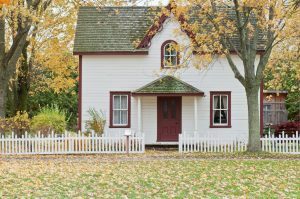 Instead of adjusting the temperature on your air conditioner and raising your electric bill all summer, you can invest in changes to your home that can accomplish your goals. Finding roofing materials that keep your place cool during the summer will help keep you from being overheated and save money on air conditioning during the hottest parts of the year. Maintaining a safe and efficient roof is all about knowing what services are available. Slate is usually light-colored and has natural reflective properties to keep the roof from absorbing heat and warming up your home. In addition, slate tile can look beautiful on your home. Since slate is heavy, it takes longer to heat and doesn’t hold the heat as long. This means your roof will cool quickly at night. However, slate can be expensive as a roofing material and can be damaged easily if mishandled, making them difficult to transport. 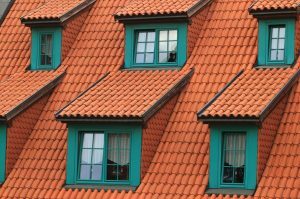 These are all questions you can ask your roofing contractor. Concrete tiles are good roofing materials that keep your place cool during the summer because they are dense and heavy. That means it takes a long time for the sun to heat the concrete. Usually, by the time the concrete would get too hot, the sun has moved and the tiles will already be cooling off. The benefits of concrete tile can be increased by painting the tiles in a light color. Since concrete is porous, it will take the paint well. The light color will reflect the sun so less of the heat is absorbed by the concrete tiles. In addition, the tiles are very durable so you won’t have to replace them very often, if at all. If you live in an area of Texas with high heat and low moisture or humidity, clay and terra cotta are good roofing materials that keep your place cool during the summer. These tiles are a favorite of roofing companies becasue they are designed to reflect the sun’s heat and have been used for generations on roofs in Spain, Mexico, and Italy, as well as other areas of the world. The shape of the traditional tiles contribute to their ability to keep your home cool, but even the more contemporary designs of the tiles are effective for keeping you cool. PV (photovoltanic) shingles, also known as solar shingles, absorb the sun’s energy and convert it to electricity. The electricity generated by the roofing can be used to power your home, including your air conditioning. Since these shingles convert the sun’s energy into electricity, they don’t hold heat the same way other roofs do, which keeps your home cooler during the summer. Before installing these shingles, it’s important to check with your local regulations about using solar energy for your home. 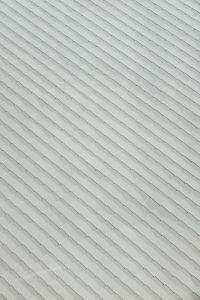 White metal roofing is effective for reflecting the sun in the summer. White is a great color for reflecting the sun instead of absorbing it, which keeps the roof cooler in comparison to dark-colored roofs. In addition, the material cools more quickly at night, which helps keep your home cooler during the hot Texas summer. Since the roof doesn’t hold heat as long as other roofing materials, white metal roofs can be a good way to keep your home cooler. Whether you’re trying to save money on air conditioning or looking for more practical roofing materials that keep your place cool during the summer to repair your roof with, finding the right material on your roof can make a big difference in the temperature of your home this summer. If you want to know more about the best roofing materials to keep your place cool during the summer or you’ve recently experienced some hail damage, call to schedule a consultation today or feel free to request a complimentary quote with Elite Roofing and Consulting!